For-profit colleges continue their effort to avoid accountability for high-cost, low-quality programs, programs paid for by U.S. taxpayers and struggling students. They have spent big money on lobbying, public relations, and campaign contributions – and have engaged in some highly questionable tactics. Now a Washington DC political consultant and the Washington Post have double-teamed for a new spin on a recurring bad practice. Repeatedly during this debate, an esteemed individual has praised for-profit colleges without disclosing that the speaker or speaker’s enterprise has been paid by a for-profit educational institution or investor. Mitt Romney is a recent, bold example – he has effusively praised for-profit Full Sail University, whose record is mixed at best and whose high prices are indisputable, without mentioning that Full Sail executives have contributed to his campaign and Super PAC. Others who have spoken up for for-profits in the past without disclosing their interest include Democratic Leadership Council founder Al From and Republican former Representative Bob Barr. Similarly, the for-profit college trade group Coalition for Educational Success announced last year that former New Jersey Republican Governor Tom Kean would advise it on the creation of a code of conduct for schools — in a press release and a Kean op-ed that each failed to disclose that Kean is a partner at a firm that invests in for-profit education companies. Which is where Knapp’s piece becomes troublesome. Because Western Governors University not only is somewhat less costly for students than the University of Phoenix, but also has a much higher success rate. Seventy-six percent of Western Governors students who began their studies in Fall 2009 were enrolled again in Fall 2010, as compared with only 47 percent of online University of Phoenix students. The overall graduation rate for students who entered the University of Phoenix online division in 2004-05 is six percent. By lumping the two schools together, Knapp’s piece creates confusion. More importantly, many traditional state universities and community colleges are significantly less expensive for students than major for-profit school programs, whether online or on campus, and boast higher success rates. Because of their high costs and inconsistent quality, for-profit schools have about 13 percent of U.S. higher education students but nearly half of all student loan defaults. So suggesting that U.S. online education, including at for-profit colleges, is generally the more affordable and effective option, misleads the reader. Another giant for-profit school, which also specializes in online education, Kaplan University, costs many students significantly more than Western Governors or many state schools, and many of its branches have an even lower retention rate — for example, 33 percent in Lincoln, Nebraska and 41 percent in Hagerstown, Maryland. In recent years, the percentage of students who default on their student loans within the first few years of repayment is 9.2 percent for Western Governors, 21.2 percent for the University of Phoenix online, and 27.8 percent for Kaplan University. Why do I mention Kaplan? Because, as the tagline for Knapp’s piece mentions, he is a managing director at the political consulting firm SKDKnickerbocker (as well as “a media strategist to five presidential and numerous other political campaigns.”) But the article does not disclose that SKDKnickerbocker and another managing director there, Anita Dunn, advised Kaplan University in its epic struggle to weaken Obama Administration regulations to hold for-profit schools accountable. Dunn moved into that role after leaving her post as White House communications director to President Obama. 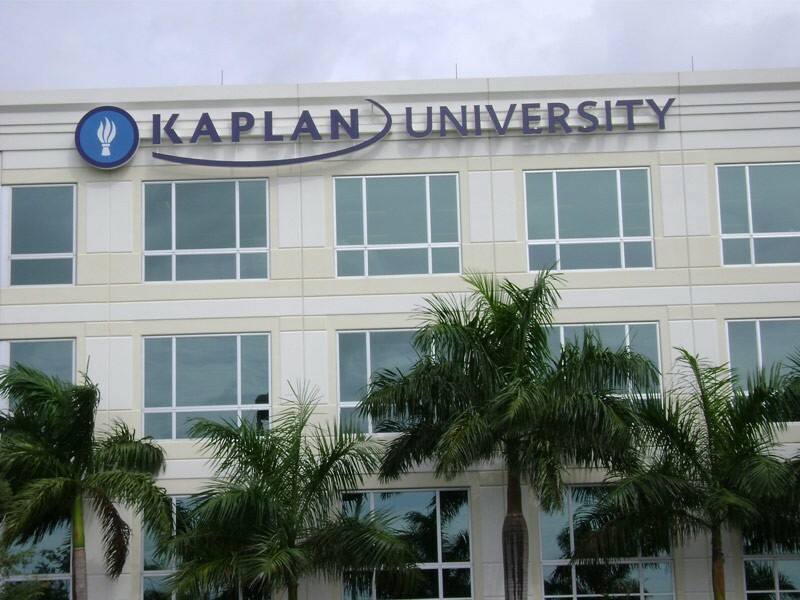 Making the lack of disclosure much more troubling is the fact that Kaplan University’s owner is none other than the Washington Post Company. So, to sum up, the Washington Post-owned Kaplan University paid Bill Knapp’s firm and his business partner Anita Dunn to help defend online, for-profit higher education. Then the Post published Bill Knapp’s essay praising (I would say overpraising) online and for-profit higher education without disclosing Knapp’s connection to Dunn and Kaplan, or the Post’s connection to Dunn and Kaplan. Advocates like Knapp have a right to their opinions, but readers have a right to know when those advocates’ opinions echo the arguments of special interests providing money to them or their firms. The pattern of nondisclosure throughout the debate on for-profit colleges is disturbing. It undermines the constructive, honest dialogue needed to truly serve America’s students and protect the interests of taxpayers.